About a year ago I photographed this little girl when she was just learning to walk and talk. 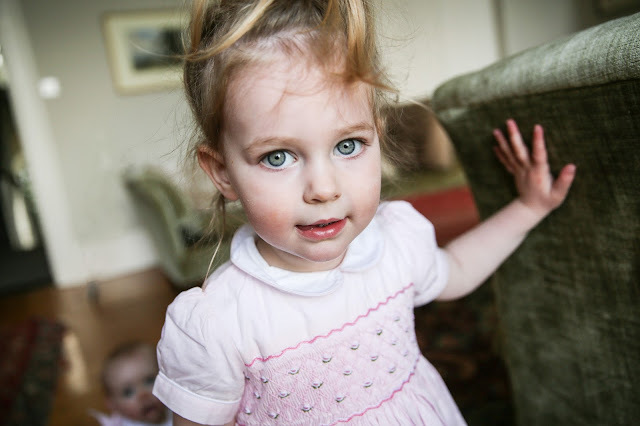 Now, at two years old she has transformed into a very brave, independent child. Of course, her new baby sister was introduced in this session as well. Their fantastic photo story can seen here on a light, summery day in Dublin. I really enjoy returning to and working with my baby models when they are a little bit older, the changes are amazing to see and it's always lovely to catch up with their parents! To document your child's growth and development through photography, check out my website.